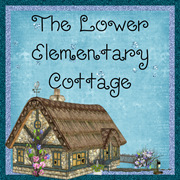 The Lower Elementary Cottage: Happy Halloween! Killing Them with Kindness! Trick or Treat!! 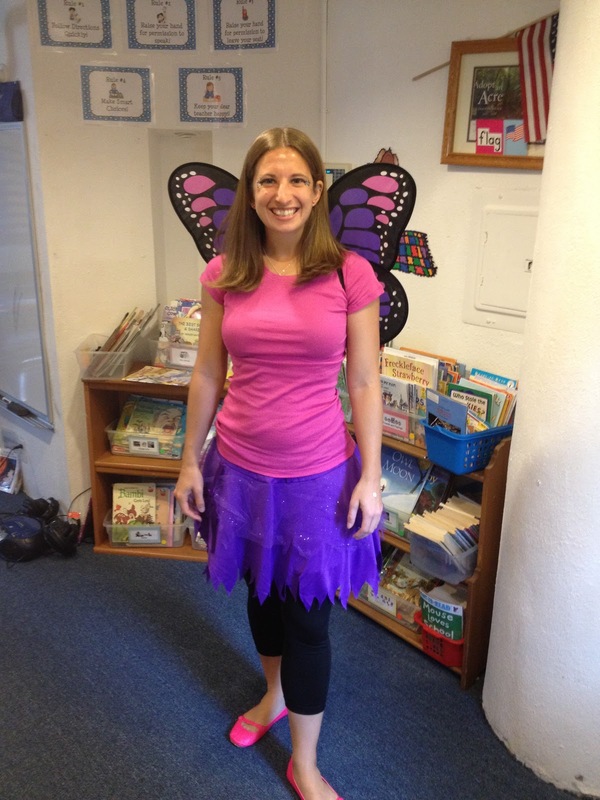 In the past my students have freaked out when I have worn costumes. This group seems to love Halloween so I picked a very cheerful costume where I look as much like myself as possible. I also gave the kids a warning that I would look different, and it was still going to be me teaching them. This seemed to help a lot. 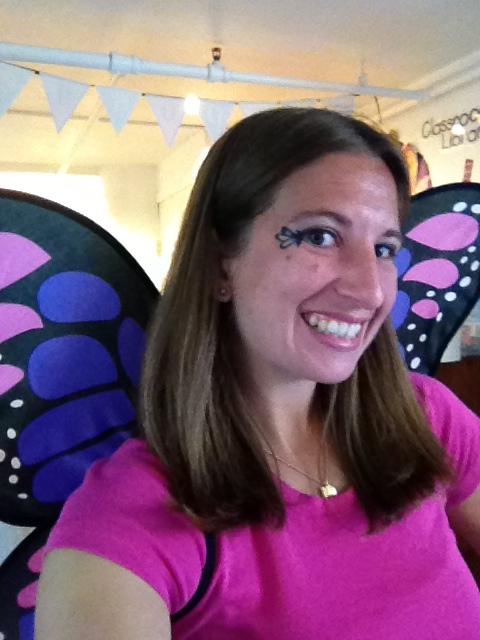 Today a pink and purple butterfly taught Lower El :) Note: the student who I said was missing yesterday has been found and is safely back home! The kids were soooo adorable in their costumes! I had Iron Man, Darth Vader, a wizard, a doctor, and Percy the Tank Engine (from Thomas the train). We all know what Halloween means in teacher world...CRAZY!! So I was on a mission to make today as pleasant as possible. Yesterday a parent gave me Howard Glasser CDs about "The Difficult Child" to listen to in my car during my commute. The student is BY FAR the most challenging kid I've ever had. He even puts ABA to shame. He sees people as toys and really couldn't care less about prizes, rewards, or any form of consequences. Not to mention the kid is brilliant so I can't even say he has to learn to get smarter, because he's already super smart...like 3 grade levels above his age smart. This kid has tested my every limit so I'll try anything. So I'm listening to these CD's and the mom is right. Glasser describes exactly her kid. Basically, people are like the coolest toy in the world, and who cares about everything else. Even consequences are rewarding because I think it's fun to make you do something (talk, scold, whatever). One of the big concepts is basically kill the kid with kindness. I was already a believer in this, but what do you do when a kid can go 5 hours without ever doing what is asked? This was where I had a revelation. Find the good, even when the kid is being awful. So today I found my mission: kill them with kindness. I figure if I can get this kid (and the rest of them too) to behave on one of the wackiest days of the year, then there really is something to this little scheme. Kid makes horribly annoying noises and I say "Wow! I love that you are keeping your hands to yourself"
My super big "Ah Ha!" moment came when he made it all the way until recess on Blue (our best behavior chart color). This is super rare for him to accomplish. I also did this "kill with kindness" thing to the kids who were doing what I wanted when my focus kid wasn't. And the part that made me the most excited was how contagious it was. The kids started giving each other lots of complements too with zero prompting from me. 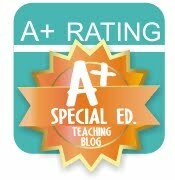 At one point my tricky kid went back to his usual ways and dropped to the bottom of the behavior chart. Then when he earned his way off Red and on to Yellow the whole class started cheering for him!! It was soo cute! To any other kid Yellow is terrible, but for him it was a big step in the right direction. There have been times he's never gotten off Red during a day. I've been working hard to make sure this class doesn't hate this kid, because I've seen it happen. I love that they can find the good too, and celebrate it. It's called the Nurtured Heart Approach and I can already see it going in the right direction for the class as a whole. I haven't gotten to the "consequences" CD yet, so I'll try that another day. Last but not least, gummy bear graphing was a huge hit and the kids were begging to graph some more. This was even the favorite part of the day for "tricky kid" when he originally was refusing to participate. Yay for gummy bears! If you want the blank graph, just go to yesterday's post.